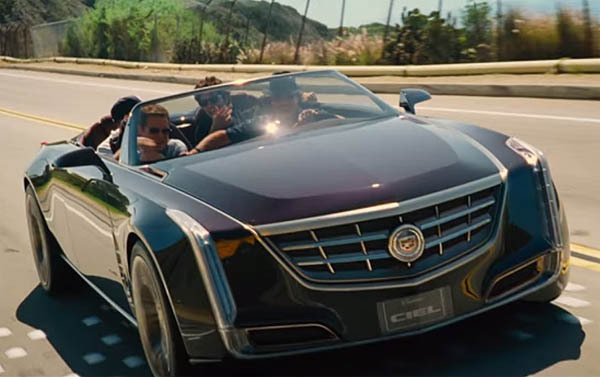 Cadillac Ciel Stars in the New Movie "Entourage"
Entourage the movie will be airing in a theater near you June 3, and one of the stars of the show will actually be a car, in this case Cadillac’s stunning Ciel four-door convertible that we first saw back in 2011. The long awaited move from small screen to silver screen for HBO's Entourage happens in June, and the first trailer shows that Vince is bigger than ever, the gang is still together, and Drama's Lincoln is evidently relegated to secondary status. Because Cadillac ponied up its awesome Ciel Concept to be one of the feature cars. If the company wants to reorient people's attitudes toward the brand, this is a pretty good place to start. Three years after its debut, the Ciel's still a showstopper, and Entourage is going to have an audience.